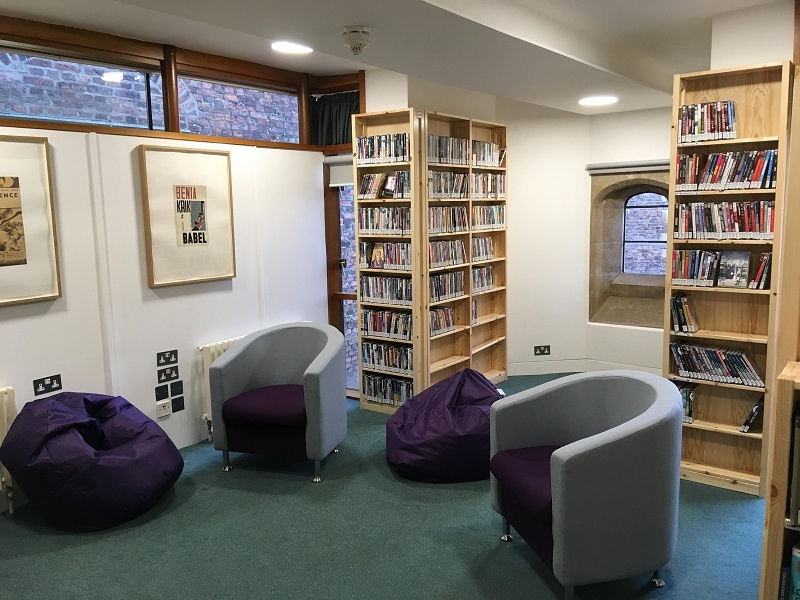 The Audio-Visual Room is situated on the First Floor and houses the Library's collections of CDs and DVDs. The CD collection consists mainly of classical music and also includes a number of recordings by the College Choir. The DVD collection includes a wide range of western European cinema, a smaller selection of Russian and Japanese titles, and an assortment of film versions of literary works. There are also multimedia language learning materials available in over 20 languages. Lists of the DVDs, videos and CDs held in the AV Room can be found below. All items may be used in the room or borrowed. A TV/DVD player is available in the AV Room, as well as informal seating and beanbags. Two sets of headphones and an external CD/DVD player can be borrowed from the Issue Desk.